Does Bankruptcy Stop Foreclosure in Phoenix? Home/Bankruptcy/Does Bankruptcy Stop Foreclosure in Phoenix? The best way to avoid foreclosure in Phoenix when you are behind on a mortgage payment is to work out a new payment plan with your lender or refinance the loan as soon as possible. However, even when your lender finds your loan in default and begins foreclosure proceedings, there are options such as bankruptcy that can help you stay in your home. A Chapter 13 bankruptcy filing can be an effective legal tool to prevent foreclosure. It might sound counterintuitive to willingly file for bankruptcy in order to save your home. However, there are real benefits to bankruptcy, especially in Chapter 13. If you were to use a Chapter 7 bankruptcy filing, the majority of your debts might be entirely discharged. However, the trade-off is often losing your most valuable assets, including your home. There are some circumstances that can still protect your home depending on the total equity, but for many, it can be a gamble. 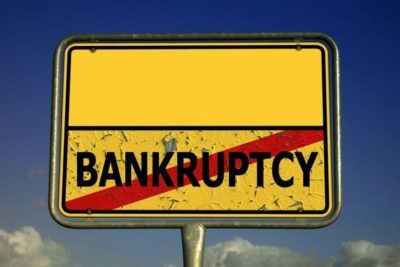 Furthermore, you need to pass a means test to even qualify for Chapter 7 bankruptcy, which is yet another hurdle to overcome. While many people can and do qualify for a chapter 7 bankruptcy, it does not force the lender to allow you time to get caught up on your mortgage payments like a chapter 13 does. Chapter 13 bankruptcy works differently. Rather than trying to totally erase your debts and move on with an arguably-clean slate, you reduce the existing debt and rearrange what is left into a repayment plan stretched out over 3-to-5 years’ time. Depending on your circumstances, a chapter 13 will not only allow you a lot of time to get current on your mortgage payments, it may also let you entirely wipe out your unsecured debts in the process. Every case is different, and depending on your situation, you may have to pay back anywhere from none of your unsecured debts, to all of it. Our job is to minimize the amount of unsecured debt you are required to pay back. In addition, since a bank usually has more interest in you keeping your home than taking it away, you might be surprised to find that your bank may willingly work with you to make your post-petition mortgage payments more affordable. When you file for bankruptcy, there is an automatic stay that stops creditors from continuing foreclosure proceedings, as well as collection actions, against you for the duration of the bankruptcy proceeding. This does not stop foreclosure proceedings entirely, but your lender must either wait until after bankruptcy to restart the foreclosure process or seek to have the automatic stay lifted by the court, a process that can take months. Because bankruptcy proceedings often conclude within 150 days of filing, your debts may be discharged before the lender lifts the stay and is able to sell your home. If you file for Chapter 13 bankruptcy, you can use your Chapter 13 plan to cure a payment default on your mortgage. In addition, you may be able to obtain a discharge of second and third mortgages, giving you an opportunity to make retaining your home more affordable. Whether bankruptcy is the best foreclosure defense method for you depends on your circumstances. A seasoned bankruptcy attorney helps you evaluate your debt relief options to help meet your goals, including protecting your home for as long as possible. Give Phoenix Fresh Start Bankruptcy Attorneys a call at 602-598-5075 to schedule a free consultation with one of our bankruptcy attorneys. If you have any other questions about bankruptcy, one of our attorneys will be more than happy to offer advice on your particular situation.